1867 Birth: Emil Nolde: German painter. Nolde was a supporter of the Nazi party from the early 1920's, having become a member of its Danish section. He expressed negative opinions about Jewish artists, and considered Expressionism to be a distinctively Germanic style. 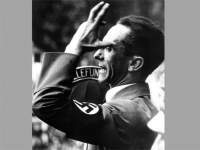 This view was shared by some other members of the Nazi party, notably Joseph Goebbels. However Hitler rejected all forms of modernism as "degenerate art", and Nolde's work was officially condemned by the Nazi regime. Until that time he had been held in great prestige in Germany. Over 1000 of his works were removed from museums. Gustav Krupp (Gustav von Bohlen) was born in the Hague on 7th August, 1870. A German diplomat he married Bertha Krupp, the daughter of Friedrich Alfred Krupp, the arms manufacturer, in October, 1906. He was immediately given permission by Wilhelm II to change his name to Krupp. Krupp took over the running of the company and by the outbreak of the First World War had gained the monopoly of German arms manufacture. He manufactured high angle heavy calibre howitzer called Big Bertha (named after his wife). The gun that was used for the shelling of the fortress of Liege in Belgium. His company also produced the Paris Canone, the long barrel gun that could fire up to 120km in distance. Before the war Krupp had leased a fuse patent to the British armaments company, Vickers. 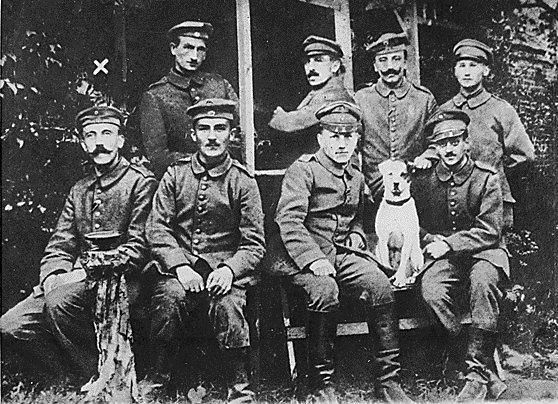 After the Armistice Vickers paid Krupp a large sum of money based on the number of German artillery casualties. This led to Krupp family being attacked from profiting from Germany's war dead. 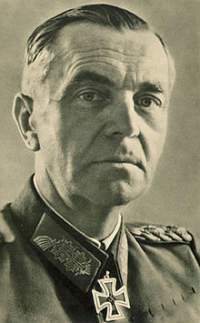 Krupp was initially hostile to the policies of Nazi Party. However, after a meeting on 20th February, 1933, he was persuaded by Adolf Hitler and Hjalmar Schacht that the Nazi government would destroy the trade unions and the political left in Germany. Schacht also pointed out that a Hitler government would considerably increase expenditure on armaments. 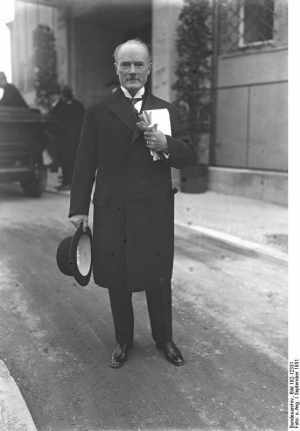 Once converted, Krupp, as chairman of the Association of German Industrialists, was in a good position to encourage other business leaders to contribute to Hitler's election fund. In May 1933 Hitler appointed Krupp as Chairman of the Adolf Hitler Spende, an industrialist fund administered by Martin Bormann. The money went to the Nazi government in return for special favours for the industrialists who had contributed. As a result of the terms of the Versailles Treaty Krupp had turned to the production of agricultural machinery after the First World War. However, in 1933, he began producing tanks in what was officially part of the Agricultural Tractor Scheme. He also built submarines in Holland and new weapons were developed and tested in Sweden. After the outbreak of the Second World War Krupp built factories in German occupied countries and used the labour of over 100,000 inmates of concentration camps. This included a fuse factory inside Auschwitz. Inmates were also moved to Silesia to build a howitzer factory. It is estimated that around 70,000 of those working for Krupp died as a result of the methods employed by the guards of the camps. 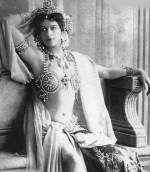 1876 Birth: Mata Hari—stage name of the Dutch exotic dancer and prostitute Gertrud Margarete Zelle, who was shot by the French as a spy on 15 October 1917. 1887 Birth: Hermann Rauschning: Nazi politician who broke away from Hitler and Nazism before World War II. Born in West Prussia, Rauschning studied history and music before volunteering during World War I. After the war, he was active in ethnic German organizations. In 1926 Rauschning bought an estate in Danzig, a city on the Baltic Sea that for centuries had been a point of conflict between Germany and Poland, and after World War I was designated as a "free city" that did not belong to any specific country. In 1931 Rauschning joined the Nazi Party. In June 1933 the Nazi Party won a majority in Danzig's parliamentary elections and Rauschning was named president of the Danzig senate, making him the city's governor. 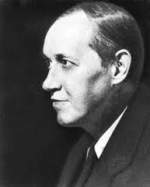 However, Rauschning quit the post in November 1934; he had lost his enthusiasm for Nazism after getting to know Hitler and the local Nazi leader, Albert Forster. In 1936 Rauschning fled to Switzerland; two years later the Danzig senate stripped him of his Danzig citizenship. At that point, Rauschning began writing books in which he hoped to reveal the true character of Nazism, and warn the world about Hitler's evil plans. In 1948 Rauschning moved to the United States, where he continued writing about German politics. 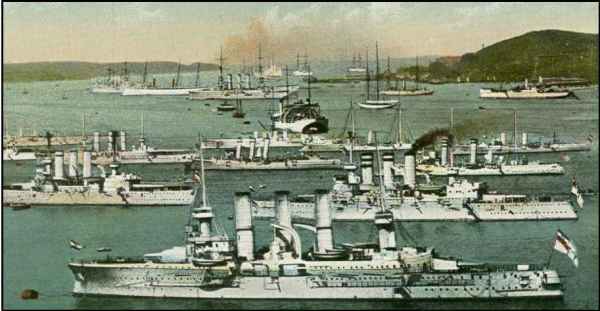 The Japanese government receives an official request from its ally, the British government, for assistance in destroying the Kaiserliche Marine's East Asia Squadron, a fleet of German raiders operating in and around the territorial coast of China. Officers, Non-commissioned Officers, and Soldiers of the American Army: Shoulder to shoulder with your French comrades, you threw yourselves into the counter-offensive begun on July 18th. You ran to it as if going to a feast. Your magnificent dash upset and surprised the enemy, and your indomitable tenacity stopped counter-attacks by his fresh divisions. You have shown yourselves to be worthy sons of your great country and have gained the admiration of your brothers in arms. Ninety-one cannon, 7,200 prisoners, immense booty, and ten kilometres of re-conquered territory are your share of the trophies of this victory. Besides this, you have acquired a feeling of your superiority over the barbarian enemy against whom the children of liberty are fighting. To attack him is to vanquish him. American comrades, I am grateful to you for the blood you generously spilled on the soil of my country. I am proud of having commanded you during such splendid days and to have fought with you for the deliverance of the world. Nazi Germany: Five Americans are beaten in Nuremberg for refusing to give the Nazi salute. Belgium orders the anti-Semitic Green Shirts disbanded. 1938 Lebanon: The Beirut synagogue is bombed by Arab terrorists. Axis: Count Ciano requests a meeting with Joachim von Ribbentrop. 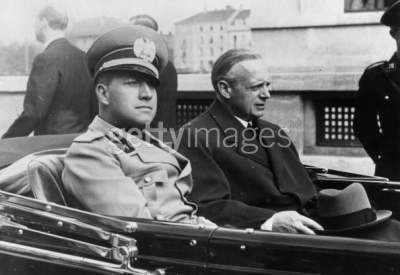 Note: German Foreign Minister von Ribbentrop, while negotiating with the Italians in formulating the Pact Of Steel and the Tripartite Pact, had assured Mussolini and Ciano that Hitler had no intention of going to war before 1945. You know from our telegram that the political negotiations of the British and the French have been interrupted for the time being. 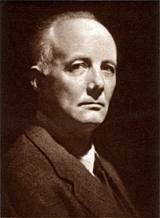 Mr. Strang left by air this morning for London, where a great quantity of work kind allegedly accumulated for him. At the end of the week, the British and French officers will come. The British military men here regard the prospects of the pending military negotiations also with considerable skepticism. Among the members of the British Military Mission is the former Air Attaché in Moscow, Collier. Collier is a very sober and quiet man and knows Soviet conditions well. At the time of the intervention, he was in Archangel. The fact that he is being sent is welcomed by the British here, since he will not be taken in by the Russians and knows their methods of negotiation. Concerning the political negotiations up to now, we hear that throughout Herr Molotov sat like a bump on a log. He hardly ever opened his mouth, and if he did it was to utter only the brief remark: "Your statements do not appear to me entirely satisfactory. I shall notify my Government." The British and the French Ambassadors are both said to be completely exhausted and glad that they now have a breathing spell ahead of them. The Frenchman said to one of my informants, "Thank God that that fellow will not participate in the military negotiations!" Regarding my conversations with Molotov, you are, of course, informed. I believe that we put a few good fleas in the ears of the Soviets, anyhow. At every word and at every step, one can see the great distrust toward us. That this is so, we have known for a long time. The unfortunate part of it is, that the mistrust of such people is very easily kindled and can only be allayed slowly and with difficulty . . . .
My old acquaintance, Minister Idman, who at present is in charge of the Finnish Legation, told me that when he called on Molotov the latter expressed himself as very dissatisfied over the hostile attitude of the Finnish press toward Russia. 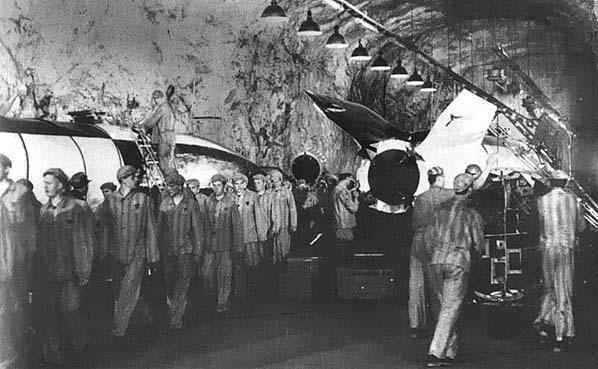 Idman said he replied that the Finnish press is free to write what it wishes and if it prints anti-Russian articles the Soviet Union had certainly given occasion for them. The Danish Minister here recently made his first call on Molotov. The Minister President brought up the question of the German-Danish Non-aggression Treaty. He had taken note of, but had made no comment on, the Minister's statement that Denmark was much reassured by the conclusion of the pact. In conversation with Molotov, the Ministers of Latvia and Estonia here also characterized the German Non-aggression Treaties as guarantees of peace, and remarked that the conclusion of the treaties had been entirely natural, since Latvia and Estonia had similar non-aggression treaties with the Soviet Union. Molotov, however, had taken the position that these treaties indicated an inclination toward Germany, and he could not be moved from this position. The Estonian Chargé here, in talking about the attitude of the Soviets toward Baltic questions, spoke of the possibility that Germany might guarantee the independence of Latvia and Estonia, as it had done with Belgium. I am of the opinion that the Soviets no longer want such a guarantee to be given by us. General Köstring, who has gone to Berlin for a few days, will look you up and give you the news from here. I hope he has already done it. We are very curious to know what news he will bring us from Berlin. Just as eagerly we await the arrival of Herr von Tippelskirch on next Friday. On this day in 1942, the U.S. 1st Marine Division begins Operation Watchtower, the first U.S. offensive of the war, by landing on Guadalcanal, one of the Solomon Islands. On July 6, 1942, the Japanese landed on Guadalcanal Island and began constructing an airfield there. Operation Watchtower was the codename for the U.S. plan to invade Guadalcanal and the surrounding islands. During the attack, American troops landed on five islands within the Solomon chain. Although the invasion came as a complete surprise to the Japanese (bad weather had grounded their scouting aircraft), the landings on Florida, Tulagi, Gavutu, and Tananbogo met much initial opposition from the Japanese defenders. But the Americans who landed on Guadalcanal met little resistance-at least at first. More than 11,000 Marines had landed, and 24 hours had passed, before the Japanese manning the garrison there knew of the attack. The U.S. forces quickly took their main objective, the airfield, and the outnumbered Japanese troops retreated, but not for long. Reinforcements were brought in, and fierce hand-to-hand jungle fighting ensued. "I have never heard or read of this kind of fighting," wrote one American major general on the scene. "These people refuse to surrender." The Americans were at a particular disadvantage, being assaulted from both the sea and air. But the U.S. Navy was able to reinforce its troops to a greater extent, and by February 1943, the Japanese had retreated on secret orders of their emperor (so secret, the Americans did not even know it had taken place until they began happening upon abandoned positions, empty boats, and discarded supplies). In total, the Japanese had lost more than 25,000 men, compared with a loss of 1,600 by the Americans. Each side lost 24 warships. Units of the 6th Armee (von Paulus) cross the Don river at Kalach in their advance toward Stalingrad. None of us wants to minimize the severity of the air war against the German homeland. It is a severe trial. But we must pass the trial. The attacks of the enemy on our morale will fail in the face of our firm resolve, just as the storm of his weapons fails against the bravery of our front. We have become citizens of the world, and must behave accordingly. Friend and foe alike look our way each day and ask: Will they pass the test? Our answer cannot be in doubt. The English no longer boast that their people can take more than we can. They face a nation that is determined to defend its life and freedom by all means, and who will end the great battle only when they have the victory. In the long run, such determination must be rewarded with victory. While there has been no reply as yet from the President to your message relative to the same matter, I am sure his answer will be in the negative. While I have seen no analysis of the logistics involved, I am absolutely certain you will find the supply problem insurmountable...It seems to me that our tactical position today in 'Overlord' is precisely as planned and as we anticipated it would be when 'Anvil' was laid on. To change the strategy now would be a great mistake, and I believe would delay rather than aid in our conquest of France. It was implicit in the desire that COBRA should produce not only a breakthrough, rupturing the German lines, but a breakout from Normandy deep into France. Then the breakout forces could fan out widely, east toward Germany, as well as, more dubiously, west into Brittany. 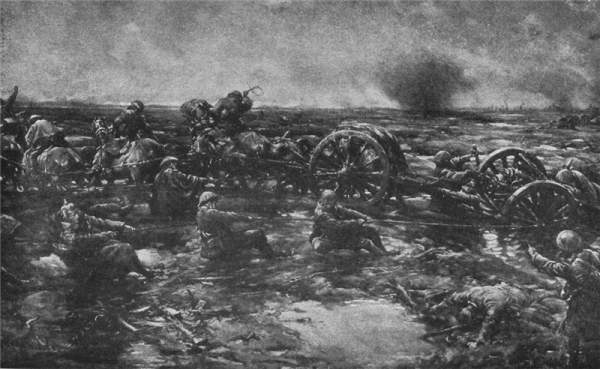 But while the American high command meticulously planned the tactical problem of breaking through and out, once more they did not explore as they might have the operational implications of the tactical plan: how best to exploit the prospect of pushing fast and far into the interior of France. 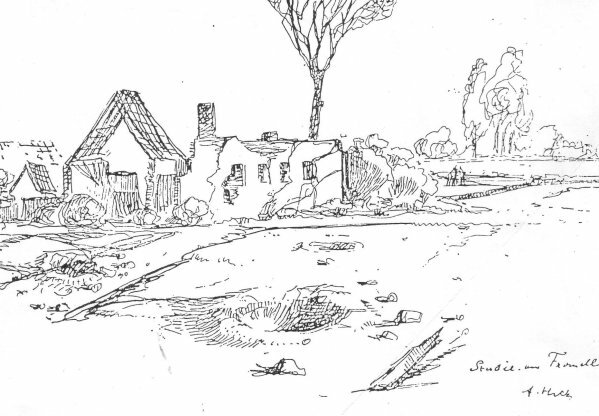 As the breakout developed, and American spearheads indeed ranged swiftly eastward, improvisation in response to opportunity led to a design to trap the bulk of the German forces. On this day in 1944, under the threat of Allied bombing during World War II, the German car manufacturer Volkswagen halts production of the "Beetle," as its small, insect-shaped automobile was dubbed in the international press. Ten years earlier, the renowned automotive engineer Ferdinand Porsche had signed a contract with Germany's Third Reich to develop a prototype of a small, affordable "people's car." The German chancellor, National Socialist (Nazi) leader Adolf Hitler, called the car the KdF (Kraft-durch-Freude)-Wagen (or "Strength-Through-Joy" car), after a Nazi-led movement ostensibly aimed at helping the working people of Germany. Porsche didn't like that moniker; he preferred Volkswagen (meaning "people's car"), the name under which the car had originally been developed. In 1938, the government built a factory to produce the car in the city of KdF-stat. The first production-ready Beetle debuted at the Berlin Motor Show in 1939. Several months later, Germany invaded Poland, sparking the conflict that would explode into world war. During the war years, the German army's need for a lightweight utility vehicle took precedence over the production of affordable passenger cars. 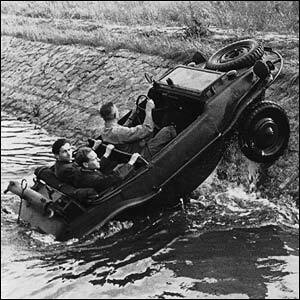 The result was the Type 62 Kubelwagen, a convertible vehicle with a modified Beetle chassis, four doors and 18-inch wheels (compared with the Beetle's 16-inch ones) to give it better ground clearance. Though production at the KdF-stat factory was dedicated primarily to the Kubelwagen and its amphibious counterpart, the Schwimmwagen, the factory did continue to produce Beetles from 1941 to August 7, 1944, when production was halted under threat of Allied bombing. President Harry Truman is aboard the heavy cruiser USS Augusta (CA-31) in the middle of the Atlantic Ocean, while returning from the Potsdam Conference, when he announces the bombing of Hiroshima with an atomic bomb. Herr Pelckmann: A horrifying moving picture of the atrocities in concentration camps was shown in this courtroom, and the Prosecution has alleged that such conditions were the outcome of a consistent policy of the SS. Can you, as a high-ranking judge, comment on this allegation? 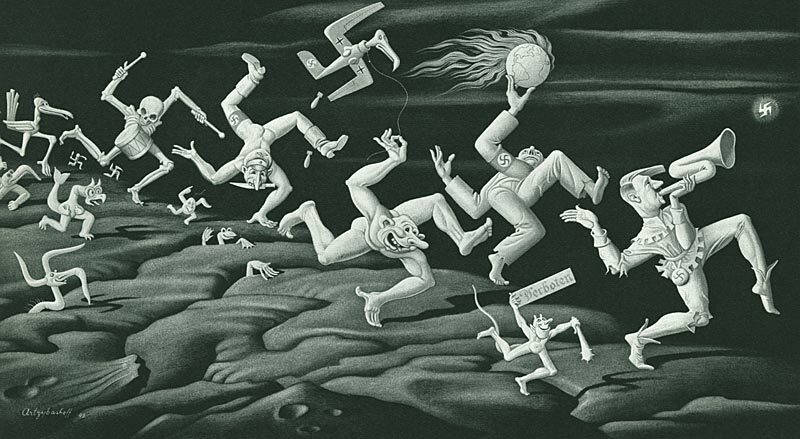 Did the courts of the SS gain knowledge of these occurrences, and if so, did they remain silent? Reinecke: Of a consistent policy of the SS with reference to the conditions shown in this film, there can be no question. Frightful atrocities were committed in concentration camps, but the film shows the effect of the total collapse of the German Reich on the concentration camps; it does not, therefore, represent normal conditions in such camps. The normal conditions were quite different. I am in a position to pass judgment on these matters, because the legal authorities of the SS and the Police used all the means at their disposal . . . The President: Is the witness speaking from personal observation of the concentration camps? Herr Pelckmann: Yes, Mr. President, he is just about to explain that. Reinecke: I am entitled to pass judgment on these matters because the legal authorities of the SS and the Police used every means at their disposal, sometimes even overstepping their own authority, to take legal measures against these atrocities. We had investigating commissions in the concentration camps which reported to me repeatedly on conditions in the camps. If the legal authorities of the SS and the Police were in a. position to take steps against such conditions, then it was only because these conditions were not the result of 'a consistent policy of the SS, but were caused by criminal acts of individual persons or small groups and by a few highly placed superiors, but were not committed by the SS as an organization. The legal authorities took steps in order to fight against these crimes and to eliminate such criminal elements from the SS. "With such a high death figure the number of detainees can never be brought to the level demanded by the Reichsführer SS. The senior camp medical officers must use every means at their disposal to reduce the death rate in the various camps considerably. The best medical officer in a concentration camp is not the man who believes that undue harshness must be applied, but rather the one who, by means of careful control and interchanges at the various places of work, maintains a high standard of efficiency. "Medical officers in the camps should check the food of the prisoners more often than before, and with the approval of the administration they should submit to the camp commander suggestions for improvements. Naturally these must not merely appear on paper, but camp medical officers should make regular checks. Apart from that, the medical officers should see to it that the working, conditions at the various places of work are improved as much as possible. It is necessary, for that reason, that medical officers should thoroughly inspect the places of work and investigate working conditions. The Reichsführer SS has ordered that the death rate must be reduced at all costs." . . . .
Herr Pelckmann: Do you know, Witness, whether such instructions were actually carried out in the concentration camps? Reinecke: The investigating commissions of the head office "SS Courts" have repeatedly confirmed to me in personal reports that such instructions were in fact put into practice in the concentration camps. They reported to me that accommodation, hygienic conditions, medical care, feeding, and also the treatment and the physical appearance of the detainees were for the most part good. They also confirmed that the strict prohibition of ill-treatment of detainees was repeatedly made known in the camps, and was, in fact, observed. The picture of the concentration camps under normal conditions is, therefore, quite a different one. To the outsider, the cleanliness and the smooth functioning of the working program was noticeable. If crimes have been committed in concentration camps, then they occurred in a way in which they remained hidden from the outside world and even from the inmates of the camp unless they participated in them. The President: Are you saying that you personally received this letter or that you had these facts before you? Reinecke: I received reports from these investigating commissions, which were submitted to me personally, and from these reports I was able to gather the facts which I have just related. The President: Well then, you knew in December 1942 that 70,000 arrivals in concentration camps out of 136,000 had died, did you? Reinecke: No, that I did not know. I shall, have to supplement my testimony by giving now an answer which I was to have given in connection with a later question, namely, that the head office "SS Courts" instituted these investigating commissions for the disclosure of crimes committed in concentration camps only as from the second half of 1943. The President: I thought you said in answer to my question, "These facts were known to me." 1946 Nuremberg Tribunal: Albert Speer, incarcerated in Nuremberg Prison, writes his wife: "In such situations one should not think only of one's own life. Every soldier on the battlefield is faced with danger of death and has no choice in the matter." The U.S. Congress passes Public Law 88-408, which becomes known as the Tonkin Gulf Resolution, giving President Johnson the power to take whatever actions he deems necessary to defend Southeast Asia including "the use of armed force." Lynne Cox braves the freezing waters of the Bering Strait to make the first recorded swim from the United States to the Soviet Union . . . .